Experience a joyful collision of music and movement! Merging a live concert with vibrant dance, SUNNY is an explosion of ideas, new sounds and exuberant energy. This uplifting piece was created by Bessie Awardwinning choreographer Emanuel Gat and DJ, singer and shooting star of the electronic music scene, Awir Leon. The movement evolves from the playful and sensual interactions of ten dancers. They respond to each other and to the soundtrack, which unfolds from Marvin Gaye’s song Sunny and is performed live on stage by Leon. A flowing free-form, SUNNY is a blast of pleasures, rich in changing moods and colours. 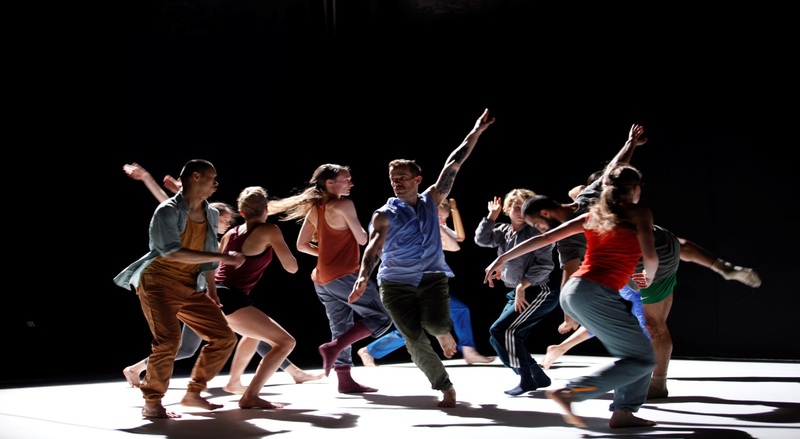 Dublin Dance Festival in association with the Abbey Theatre. Visionary U.S. ballet master, Alonzo King, brings his celebrated contemporary ballet company from San Francisco to Ireland for the first time. King bridges classical technique and modernity in this evening of exquisite and sensual dance, brought to life by twelve outstanding dancers. The first piece, Shostakovich, takes ballet to its extreme dimensions, set to four Shostakovich string quartets. This is followed by the deeply evocative and joyful Rasa, performed to an exhilarating score by Grammy winning Indian tabla virtuoso Zakir Hussain. Technically brilliant and sublimely beautiful, this stunning evening programme will change forever the way you look at ballet. The BNP Paribas Foundation supports these and similar projects worldwide.